The Nobel chair, Berit Reiss-Andersen delivered one of the best anti-nuclear appeals ever and did a great job in explaining the purpose of Alfred Nobel and the abolition of nuclear weapons as a legal obligation. With ICAN´s Beatrice Fihn and Hibakusha Setsuko Thurlow delivering excellent, efficient and moving speeches this award ceremony did a lot to honor Nobel. The demand that Parliament must change its routines and the political parties stop using the Nobel committee seats as their own property has been followed up with a list of persons suited for the task, in Norway, Sweden and beyond. Jostein Gaarder, Norwegian author, is one of the names put forward. Letter to Election committee is here (English) and here (Norwegian). Earlier requests that the Nobel committee must consist of people committed to his specific idea of how to create peace are here 2008, 2014. NPPW appeals to President of Parliament, Olemic Thommessen, to change the principles for composition of the award committee (obey Nobel´s intention), not just discuss technical details of a broken system that is irrelevant to the task..
Today´s Norwegian parliamentarians are unfit to manage Nobel´s award for disarmament, says Nobel Peace Prize Watch in a letter to the Parliament of Norway. In a separate statement 19 professors of law in Norway remind parliamentarians of their legal obligations. Nobel knew that Norway´s parliament was in the vanguard of the new peace ideas of the 1890s and wished its help to appoint a committee of professionals on peace by global co-operation. Norwegian politicians should not appoint themselves, today they believe in arms races rather than in disarmament. Read the letter here (English), here (Norwegian). Who is eligible to win the Nobel peace prize? A ten years old dispute reached the European level this week when two potential recipients of the coveted prize lodged a complaint against Sweden with the European Court of Human Rights in Strasbourg. The two plaintiffs had sued the Nobel Foundation for mismanagement of funds by payments to winners not within Nobel´s idea. Swedish courts rejected the case and Sweden is now accused of having failed to give a fair trial to the two plaintiffs. The two claim that Nobel intended to prevent wars by global co-operation and disarmament and that the Nobel Foundation cannot continue to let its subcommittee in Oslo hand out prizes for peace by everything else - the prize belongs to the specific “champions of peace" described more closely in Nobel´s will of 1895. …. Read the full Press release and the Application to the ECHR. On Feb. 5 the NPPW submitted its short list for 2017 to the committee. The watch group has screened all known candidates that comply with the purpose Nobel actually had in mind where we have obtained the nominations actually submitted to the awarding committee, and we publish the full text with applicable guidelines - even if the Nobel committee practices total secrecy for 50 years. The NPPW does this to demonstrate how far the award has become removed from the specific method to end the war system, the war culture, that Alfred Nobel wished to support. As the time limit expired, Jan 31 at midnight, the NPPW short list for 2017 contained 21 nominees, from Daniel Ellsberg to a very famous woman from India. The list is part of the NPPW´s continuing effort to assist the awarders and the nominators, and inform the general public of the visionary peace plan of Alfred Nobel. If anyone is aware of a legitimate nomination not in our list, please send it for evaluation and possible inclusion. See the full short list here. The Norwegian awarders, in blatant disregard for Nobel´s intention, will use this year´s Nobel celebrations to honor once again US Henry Kissinger and show its loyalty to Western/US hegemonic policies. This ought to serve as a wake-up call for a united effort to reclaim the prize for its original purpose. The NPPW has asked Norwegian Prosecuting authorities to act on its obligation to arrest and investigate war crimes. See the full Request for summons. Join, sign on here. And nominate good and qualified candidates for the 2017 prize more. February, 2016: our Nobel short list for 2016 sent to the committee. Please support our Nobel project! The NPPW goal is to reclaim the peace prize for the peace movement that Nobel wished to see prosper, grow and succeed. We have considerable expenses and to ensure success we need money. Please support our Nobel project! Finally - after 8 years - response! It took innumerable articles, letters, complaints, and different books in 6 languages, and spending tens of thousands of US$ to retain a lawyer, to get a response in a letter Sept. 21, 2015 from the Norwegian Nobel Committee - with at least an appearance of honestly addressing the crucial legal issue: - what intended Nobel signing his will on Nov. 27, 1895? It had taken the Nobel Committee (Oslo) 7 months to respond to the demands of the NPPW in a letter of Feb. 20, 2015, and it was received only after our lawyer had taken initial steps in a lawsuit against the Nobel Foundation (the principals of the Norwegian committee). The NPPW refuted the 18 pages in two one-page letters, first letter Oct. 1, 2015 (on proper reading of the will), then letter Oct. 12, 2015 (on the committee´s flawed arguments). Can we hope to now have reached phase 3 in the Gandhi model for political battle? (First they ignore you, then they laugh at you, then they fight you, then you win.) Stay tuned! Media release, From NPP Watch: NPPW news release Oct. 7 - Lawsuit initiated against members of the Board of the Nobel Foundation. On Sept 21 Stockholm attorney Kenneth Lewis initiated litigation against the members of the Nobel Foundation Board who in Dec. 2012, despite protests from a.o. four Nobel peace laureates paid the 2012 peace prize amount over to the European Union. The Nobel Peace Prize Watch is a service to help media, students, the general public as well as the Nobel Committee understand the testament of Alfred Nobel. Defying the strict secrecy rules we have published all the valid nominations for 2015 that we were able to find. By his prize Nobel wished to support those working to realize a world without weapons, warriors and war, the “champions of peace.” The Committee's adamant neglect of the candidates Nobel had in mind must end. Our letter of Feb 20 demanded a new policy and suggested improved procedures and expected a reply by April 1 from the three Nobel awarding bodies. It was covered in major interviews, by BBC World, and Belgian TV, Politiken (DK). Also well covered by Common Dreams, Counterpunch and Transnational Foundation, TFF. Respect Nobel or resign In a letter of Feb 20 referring to decisions by two Swedish agencies the Nobel Peace Prize Watch requests the Norwegian Nobel Committee to decide: either commit to serving the true idea of Nobel or resign. The secrecy rules have been misused to neglect the true candidates. The NPPW deemed it necessary to break the secrecy and publish and present all the valid nominations for 2015 – so few that this is actually the Nobel Peace Prize short list for 2015. "Peace is a common wish for all humanity, it must become our common demand. Peace is a binding legal obligation for all nations, it must become their common practice." Alfred Nobel wished to help the world break free of the yoke of weapons, militarism, and war. Security and prosperity for all requires international co-operation to replace confrontation. If we fail to demand strict respect for the visionary idea behind Nobel´s “prize for the champions of peace” the Norwegian awarders will continue to honor their own ideas of “peace.” The prize will continue to serve US and Western agendas. We are often being told that it is unclear why Nobel entrusted the task of appointing the Nobel peace prize committee to Norway. Is it? Who’s in charge - Oslo or Stockholm? The Nobel Peace Prize (Praeger, 2010), the first known legal analysis of the peace prize, claims that today, even if 120 years have passed, realizaton of the specific idea Nobel had in mind is of a more imperative urgency than ever. Subtitled What Nobel Really Wanted, the book by Fredrik S. Heffermehl, Norwegian lawyer and author, draws on secrets from inside the Nobel Committee and shows the prizes in huge discrepancy with Nobel´s own intentions. Official Norway, unable to refute this book, has chosen to ignore it. Here. 2012: – Revised/updated into Swedish, and Spanish. The Lay Down your Arms Association was incorporated and registered in Gothenburg, Sweden in 2014. A main project to start with is The Nobel Peace Prize Watch. Peace is a common wish for all humanity, it must become our common demand. Peace is a binding legal obligation for all nations, it must become their common practice. Experience tells us that if we prepare for war we get war. To achieve peace we must prepare for peace. Yet all nations continue to spend astronomic sums and incur extreme risks on a flawed concept of peace by military means. What the world most urgently needs is a common, co-operative security system to replace weapons and endless preparations for violence and war. Nobel´s plan for preventing future wars thus was that nations must cooperate on disarmament and commit to solving all differences through negotiation or compulsory adjudication, a culture of peace that would free the world from its current addiction to violence and war. With today´s military technologies it is a matter of imperative urgency for the world to seriously consider committing to the idea of Alfred Nobel and Bertha von Suttner. Suttner was the leading champion of peace at the time and it was her entreaties that led Nobel to establish the prize in support of the peace ideas that need a fresh restart. Taking its name from Suttner´s bestselling novel, “Lay down your arms – Die Waffen Nieder” a first goal for the network is to reclaim the Nobel prize for the “champions of peace” and the specific road to peace that Nobel had in mind and intended to support. A. What is our special role? All peace movement efforts for reduction or abolition of armaments depend on arguments in a democratic mobilization of public opinion. So also does The Nobel Peace Prize Watch. Our special advantage is that we not only argue that humanity must, for the sake of the survival of life on the planet, find a way to eliminate weapons, warriors and wars. In addition we make a legal argument – Nobel wanted to support a specific approach to peace – certain people have a legal entitlement by his will. Today the prize is in the hands of its political opponents. We wish to use legal means to get back the money that once was given to the cause of peace by demilitarization of international relations. B. What are our plans? The association shall seek to induce political decision-makers to address the imperative urgency of a new international system. To this end we will disseminate information and seek to increase public awareness of how all the nations of the world continue to be locked in power games and a never ending race for superiority in military forces and technology. This approach consumes astronomic sums of money, wastes resources that could serve human needs, and the idea that it gives security is an illusion. Modern weapons represent an imminent threat to the survival of life on the planet. We live in a constant emergency. The answer must lie in a deep change of attitudes and an international system where international law and institutions lay the ground for trust and co-operation in a demilitarized world. We distribute information by articles, books and lectures or public debates, we introduce proposals and requests in appropriate fora, including submitting issues to adjudication in administrative agencies or courts of law. The Nobel Peace Prize Watch builds on research into the actual intention of Nobel published in books by Norwegian lawyer and author Fredrik S. Heffermehl. The project welcomes members, co-operation with like-minded organizations, and financial support. The Association was incorporated and registered in Gothenburg, Sweden in 2014. Founding members and board in intitial phase are Tomas Magnusson (Sweden) and Fredrik S. Heffermehl (Norway). Former member of the IPB, International Peace Bureau, Steering Committee, 1985 to 2000. Vice president of IALANA, International Association of Lawyers Against Nuclear Arms. Former president of the Norwegian Peace Council 1985 to 2000. Published Peace is Possible (English IPB, 2000 – with 16 translations). In 2008 published first known legal analysis of the content of the Nobel peace prize. In a new book two years later, The Nobel Peace Prize. What Nobel Really Wanted included a study of Norwegian politics and the repression of his views (Praeger, 2010. Exists in 4 translations, Chinese, Finnish, Spanish, Swedish). After 20 years on the IPB, International Peace Bureau, Steering committee, was President from 2006 to 2013. Earlier President of SPAS, the Swedish Peace and Arbitration Society. A journalist by education, he has spent most of his life by working voluntarily and professionally with peace, development and migration issues. Jan Öberg, TFF, Sweden, Transnational Foundation for Peace and Future Research. The association Lay Down Your Arms is founded to continue the efforts of Norwegian lawyer and author Fredrik S. Heffermehl, who, in 2007 suddenly discovered that Nobel and his purpose had landed in oblivion. The Norwegian awarders of the Nobel Peace Prize had disconnected entirely from the original purpose described in the will of Nobel. In August 2007 Heffermehl published an article publicly requesting the Norwegian Nobel Committee to check its mandate and find out and respect what Nobel actually wanted. Instead of complying the Committee decided to keep awarding the prize for its own broad, all-encompassing, concept of ”peace” and ignore the rights of the ”champions of peace” that Nobel had in mind. The history of the will strongly points those who seek to understand Nobel´s purpose to Bertha von Suttner, the leading peace protagonist of the period. Responding to her entreaties Nobel had promised to ”do something great for the (her) cause.” Three expressions in the will (about creating the brotherhood of nations, disarmament, peace congresses) strongly confirm that it was the Suttner peace ideas and her approach to peace he wished to support with the prize. A book in 1932, by Ragnvald Moe, the Nobel Committee Secretary through 27 years), confirmed that the prize was initiated to support the peace movement ideas of the 1890s about an alternative international peace system to replace militarism, arms races and wars. But with the end of WWII came a reorientation of the political attitudes in Norway that in 1895 had made the Stortinget (Parliament) a natural choice for Nobel on how to select a committee to whom he could entrust his peace award. Already in 1962 Ursula Jorfald published a book on Suttner and the falsification of history trying to conceal her importance as the key to understanding what Nobel had actually intended. A great many historians have written about Suttner and her decisive influence to making Nobel include a peace prize in his will of 1895. The books of Fredrik S. Heffermehl were the first to analyze and point out the legal consequences of this. “The content of a will is what the testator intended, irrespective of the words used” confirmed a prominent Swedish lawyer, Torgny Håstad, Chair of the High Council of Trustees of the Nobel Foundation (Nobelfullmäktige), in a scientific article discussing the work of Heffermehl. Spokespersons for the Norwegian committee and the Nobel Foundation have since 2007 systematically shown reluctance to discuss the points raised both about Alfred Nobel´s own intention and the decisive legal importance of what Nobel really wanted. In 2007 the awarders had forgotten Nobel entirely, the rediscovery led the awarders to offer frivolous claims to adhere to the will, but in actual practice – in the course of seven years – no visible interest in understanding Nobel and his actual intention. This is why the Lay Down Your Arms Association was incorporated and registered in Gothenburg, Sweden in 2014. Founding members are Tomas Magnusson and Fredrik S. Heffermehl. Following unsuccessful demands to have the awarders comply with the will, it became necessary to seek assistance from public authorities tasked with overseeing that legacies and entrusted funds are managed in proper accordance with the law. In Sweden the official body mandated with overseeing that the boards of foundation operate in conformity with their statutory obligations is the Länsstyrelsen, A case was raised by Heffermehl who submitted his book with a complaint in October 2008. In March 2012 the Foundations Authority demanded that the awards must comply with the “description of purpose in the testament” – and relying upon the Nobel Foundation having offered satisfactory promises – decided to dismiss the case without further investigation. Later, however, the Nobel Foundation – after having the investigation dropped following its promise to check that all prizes comply with the will and further to exercise full and final control over its Norwegian sub-committee – changed its mind and applied to another Swedish authority, the Kammarkollegiet, to be exempted from its statutory obligation to control the Norwegian committee. The application was denied in a decision of March 31, 2014. An appeal lodged against this decision was withdrawn after two months. The result means that the Board of the Swedish Nobel Foundation is obliged to check the selections of the Norwegian committee and refuse to pay a prize to a winner who is outside the scope of purpose that Nobel had in mind. For further details and documents on the administrative decisions [click here]. 115 years later Nobel’s approach to peace and security is a more urgent necessity than ever before. The error of the Nobel committee is not in adapting to a modern age, but in failing to understand the point of departure for this exercise. What they should have developed was Nobel’s idea of peace, not their own. 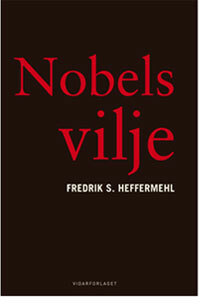 In his newest book, The Nobel Peace Prize (2010), Norwegian lawyer and author Fredrik S. Heffermehl, shows how far the custodians of Nobel´s prize for "the champions of peace" have moved the prize away from the testator´s actual intentions. Part I offers the first known legal analysis of the testament Nobel wrote in 1895, and in Part II an analysis of the political methods used by official Norway to stonewall the truth about the mismanagement of Nobel´s great vision of peace. The book, in part a case study of democracy and the rule of law in Norway, takes us from the inception of the prize 115 years ago to the present, including a riveting dissection of the 2009 award to US president Barack Obama. It explains how the military sector – in all nations – undermines human security and welfare, preferring to pursue narrow self-interest to solving the real security needs of the world. For the first time The Nobel Peace Prize provides access to the highly secretive Nobel committee room, by publishing the revealing private diaries of the longest sitting chair of the Nobel committee, Gunnar Jahn. What happened to the Nobel Peace Prize? The Nobel Peace Prize. What Nobel really wanted (Praeger, 2010), offers undisputable evidence that Nobel intended to support the "Champions of peace", those struggling to replace militarism with an international order based on law and abolition of national military forces; the power of the law must replace the law of power. Since 1948 the parties in the Norwegian parliament have delegated the appointment of the Nobel committee to the major parties who misuse the attractive seats as a reward to their party veterans, people lacking not only insight but also loyalty to the peace ideas that Nobel wished to support. In fact the committee members are opposed to the idea of the prize! People who believe in security by military means have taken charge of a prize meant to support a demilitarized world order. The prize has long ago ceased to challenge the forces it intended to combat and instead been used to promote Norwegian policies and business interests. Claiming that the Norwegian parliament and the Nobel committee have violated the law for six decades, the book also becomes an illuminating case study of how elites in the advanced Scandinavian societies circumvent the basic tenets of democracy and the rule of law. Nobel entrusted the bestowal of one of his five prizes to a five-member committee to be appointed by Norway´s parliament. The Nobel committees, misunderstanding their task, have used the prizes to serve their own ideas of "peace," instead of honoring "the champions of peace", the expression Nobel actually used to describe the recipients. To sum up: the goal of the interpretation of a will is to find out what the testator intended, the purpose he or she had in mind. To describe the recipients he had in mind Nobel created a Swedish word, fredsförfäktare (‘‘champions of peace’’). Under the law it is both improper and illegal for the Nobel Committee to ignore the specific expression that Nobel actually used, champions of peace, and instead give its own content to the much less specific term ‘‘peace prize.’’ The committee is guilty of an unauthorized change of its mandate. 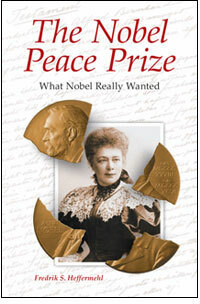 The Nobel Peace Prize (Praeger, USA, 2010), contains, as Part I, a legal and historical analysis of Alfred Nobel´s will and the content of the peace prize, and in an added Part II an account of the methods used by Norway´s political elite to stonewall the truth about their breach of trust. Heffermehl´s conclusions concur with a number of earlier scholarly works on what Nobel had in mind. The book also includes a case study of democracy and the rule of law in Norway, as well as discussions of the 2008 and 2009 Nobel awards, a riveting dissection of the Nobel speech of Obama, and the previously unpublished secrets contained in the private diaries of the longest sitting chair of the Nobel committee, Gunnar Jahn - secrets that show amateurism and a number of manifestly wrong decisions. On January 9, 2011, the Foreign Languages Press, a leading Chinese publishing house, launched a translation into Chinese (Simplified) of the American original. The launch of the book, with a completely rewritten Preface and a special added Epilogue, took place at the Beijing (internal) Book Fair. 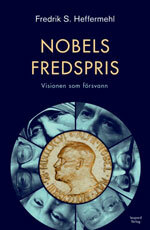 A forerunner to The Nobel Peace Prize was published in 2008 (by Vidarforlaget, Oslo). Even if this book, Nobels vilje [Nobel´s will], appeared in Norwegian only it became known all over the world within three days of its publication! - Despite the devastating analysis of how the Nobel committee and Norway´s Parliament had illegally appropriated for their own purposes the prize entrusted to their care, the Norwegian power elites continued as before, stonewalling the criticism; it was business as usual. 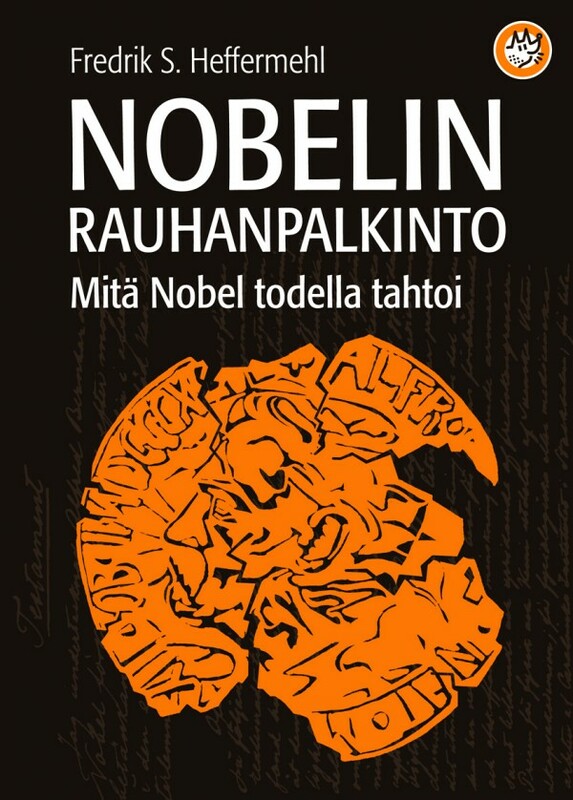 Nobelin rauhanpalkinto: julkaistaan ​​07 joulukuu 2011. Книга "Нобелевская премия мира" будет опубликована осенью 2011 года. Boken Nobels fredspris. Visionen som försvann blev publicerad i oktober 2011. From David Swanson, Director of World Beyond War to the Parliament of Norway (in English). In the will Alfred Nobel used three concepts to clarify the specific approach and people whose work he wished to support, those committed to breaking the military tradition and building an international community of disarmed nations. The three expressions he used in his will were clear references to the ideas of Bertha von Suttner, the leading champion of peace of the period – the vision of a Völkerverbrüderung (fraternity of nations) promoted by the peace congresses. Writing his will Nobel made a choice between two alternatives, two directly opposite views of the roads for humanity. Instead of conventional ideas of national security based on military strength he wished to support efforts for a global security system. Nations will never be secure by threatening each other with deadly arms, only by deep co-operation and international law and institutions replacing military force. Nobel also saw that disarmament would mean huge gains in prosperity and security to almost everyone on the planet. Nobel entrusted the Norwegian Parliament, then a supporter of Suttner and her ideas, with selecting the five-member Nobel Committee. Over time the ideas of peace in Norway have changed, but the will of Nobel remains the same. Ignoring the law and vital security interests of the world population, the awarders have disconnected from Nobel and transformed his prize for global disarmament into a general prize for “peace.” The legally binding obligation of the awarders is to make the prize once again the challenge to militarism that Nobel intended. If they don´t the task must be placed in the hands of others. *) This ABC is the sum of numerous works on the history of Alfred Nobel and his “prize for the champions of peace” as presented and analyzed by Fredrik S. Heffermehl in his books, a.o. The Nobel Peace Prize. 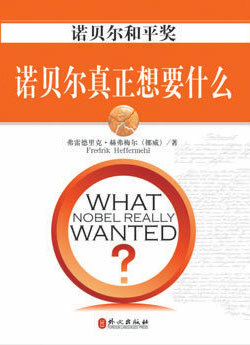 What Nobel Really Wanted (Praeger, 2010, translated into Chinese, Finnish, Spanish, and Swedish). The peace prize awarders have not attempted to refute the conclusions or the facts that underpin them – they simply keep silent and ignore the truth. When Alfred Nobel wrote his will in 1895 “Stortinget” (the Parliament of Norway) was a leading promoter of the new peace ideas. When Alfred Nobel entrusted to Parliament to appoint a committee of five to award the prize that was soon popularly known as ”the Nobel Peace Prize.” The will presupposes Parliament to elect a committee qualified and devoted to serving Nobel´s peace ideas. Fifty years, and two world wars, later, in 1945, political ideas had changed in Norway. The specific intention of Nobel was forgotten and ceased to be a consideration after the Stortinget, in 1948, changed the rules and allocated the seats to the leading political parties, based on latest national elections. Since then the committee seats have been taken up by old party hacks far from the Nobel approach to peace. Instead of a committee of friends of peace and disarmament the world has got a committee of friends of militarism and forces. The law, however, is clear: Norwegian parliamentarians are obligated to be loyal to Nobel, not pursue their own purposes. -- Shall we accept indefinitely to let our world be governed by military logic or must we instead seek security through the global co-operation to which Alfred Nobel dedicated his peace prize? The choice ought to be easy for everyone involved in work for peace, justice, disarmament, democracy, human rights, environment, relief work, health, poverty alleviation etc., says Tomas Magnusson, a co-founder of the Lay Down Your Arms Association, just think of the astronomic expenditure for security and how extremely unsafe the military actually is. 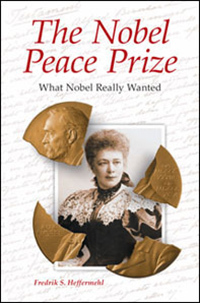 Magnusson adds that Alfred Nobel addressed this basic choice for humanity clearly with his prize “for the champions of peace.” Unfortunately the Norwegian awarders have disconnected the peace prize entirely from Nobel and the visionary peace idea that he intended to support. That is why our association has initiated the Nobel Peace Prize Watch, and, as its first project, written a letter to the Nobel peace prize trustees requesting that the peace prize from 2015 and onward will keep within the mandate from Nobel. The letter invokes the law and decisions by two Swedish public agencies, and asks for a confirmation by the end of March. The Nobel watchdog has also broken the strict secrecy around the selection process and published all the valid nominations they were able to find. The Nobel committee works under a secrecy rule that keeps all information about nominations embargoed for fifty years. -- We feel that the Nobel Committee has misused this rule to conceal the true purpose of the prize and the type of candidates that Nobel intended to win, says Fredrik S. Heffermehl, the other co-founder who has published several studies on the purpose of the Peace Prize and its utility in today´s world. – We cannot wait for a change of the rules and have decided to present, at our website nobelwill.org, all the candidates qualified to win the 2015 Nobel that we have been able to find, with the full nomination letters. The list contains 25 names that, if the Nobel committee intends to respect Nobel, ought to be their first short list of for 2015. We now hope that as many as possible will support our work and use the information at our website nobelwill.org to publish articles on the prize and the legitimate winners. We further hope that many will subscribe to our appeal, and strengthen Nobel´s voice in today´s world by financial support, says Heffermehl. Both the Nobel Foundation (Stockholm), and the Norwegian Nobel Committee (Oslo) have promised replies to the request from Nobel Peace Prize Watch. Over the years, the criticism of the Nobel Peace Prize Committee’s work has increased. Seven years ago, I cannot remember that any journalist who interviewed me about the Prize had read the will. Now about 75% of them seem to have before they call. Read more here. Abolition 2000 is one of the 25 candidates nominated for the 2015 Nobel Peace Prize that have been listed as 'valid candidates' by Nobel Peace Prize Watch, an organisation established to defend the wishes of Alfred Nobel in establishing the Nobel Peace Prize. Read more here. Midt i den nye diskusjonen rundt utnevninger og medlemskap i Nobelkomiteen har det dukket opp en ny webportal, The Nobel Peace Prize Watch, hvor media og politikere og allmenheten kan finne informasjon om prisen og gjeldende rettsregler. Websiden (nobelwill.org) inneholder både en Nobelprisens ABC og viktige avgjørelser fra svenske myndigheter som ikke er offentliggjort på Nobelprisenes websider, om hvilke krav som må stilles til de som skal oppnevnes som medlemmer av Nobelkomiteen. Bak portalen står foreningen Lay Down Your Arms som krever at prisen må fremme ideene til Bertha von Suttner, den østerrikske fredsforkjemperen som fikk Nobel til å inkludere fredsprisen i testamentet. -- Nobel mente å støtte Suttners ide om at et dyptgående samarbeid mellom nasjonene er det eneste som kunne gjøre slutt på våpenkappløp og militære maktspill og gi varig sikkerhet. 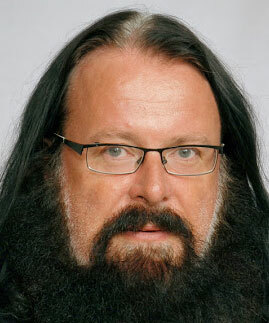 Denne ideen er minst like aktuell i dag, hevder Tomas Magnusson, svensk fredsaktivist og mangeårig president i IPB, det internasjonale fredsbyrå i Geneve. På vegne av initiativtagerne sier han at det må være klart at forsvarsvenner ikke er de rette til å forvalte en pris som var tiltenkt fredsvennene og deres nedrustnigsarbeid. Magnusson viser til flere fremstøt for å informere Stortinget om de kravene som etter testamentet må gjelde for å bli oppnevnt. Tomas Magnusson, speaking for the newly established Nobel Peace Prize Watch (nobelwill.org) comments: The ”prize for the champions of peace” Nobel´s had in mind has become the Norwegian Parliament´s prize for whatever they like to call peace The Chair, Thorbjørn Jagland, is taking more and more care to include references in his speech, to Nobel and his will, but these statements always have a tenacious relation to truth. They formulate what the committee would have liked Nobel to think, rather than what Nobel actually intended when he signed his will in 1895. Feb. 20, 2015, to the Norwegian Parliament, the Nobel Committee and the Nobel Foundation insisting that they comply with the law and the orders from public authorities. See the letter here. 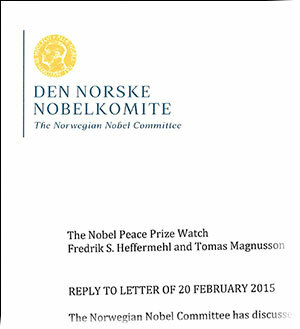 Feb. 27, 2015, to the Norwegian Nobel Committee, email presenting the of qualified candidates for 2015. See the letter here. The Norwegian Nobel Committee often has claimed that the many challenges to their stewardship of the Nobel Peace Prize have not led to any results. The opposite is true, complaints have led to authorities expecting/ordering significant reform. In 2012 the Swedish Foundations Authority turned down a claim from the Norwegian Nobel Committee to be independent and “not to take instructions from anyone” in its selections of winners. The Norwegian committee then moved for an exemption from the Swedish Foundations Act, which was also turned down. This means that the ultimate and final responsibility for peace prizes being legal has moved from Oslo to Stockholm, and now rests with the members of the Board of the Nobel Foundation. The Committee repeatedly claims to honor the purpose described in the will and rejects criticism for ignoring the intention of the testator – but has for 7 years been unable to refute any of the evidence showing that this is untrue. The peace prize awarders adamantly and consistently fail to show any interest in information on Nobel and his actual intention. They seem determined to keep ignoring the fact that the Peace Prize was established by the Nobel testament of 1895; that a will is a legal instrument; and that the binding obligation of the stewards is to find out which peace efforts Nobel wished to favor. It is, of course, Nobel´s own intention that counts, not what his trustees prefer to read into the text of the will. The following is an account of some attempts to persuade the authorities to intervene. 1. Norway (The Norwegian Lottery and Foundations) Authority) – upon request Oct. 7, 2008, (in Norwegian / English) for injunctive action - deferred to the Swedish Foundation Authority. Reason: The Nobel Foundation is Swedish and the responsibility lies with the Swedish authorities. The Swedish Authority immediately took action of its own initiative based on a received copy of this letter (see below, 2a). b) 2010 - 2012: Following several new appeals from Heffermehl, a.o on Nov. 3, 2010 (in English) with attachment (in English), the Authority at last decided to open an investigation, and, in a letter of Jan. 30, 2012 (in English), requested a response from the Nobel Foundation. The Nobel Foundation submitted its statement on March 8, 2012, (in Swedish/Norwegian). In its March 21, 2012, decision the Foundations Authority (in Swedish) (in English) chose to dismiss case without further investigation. Reason: The Authority relied upon the Nobel Foundation having confirmed to know its responsibilities under the Foundations Act, and its will to abide. The Foundation confirmed having understood its superior and ultimate responsibility for the awards, including their legality and compliance with the specification of purpose. The Authority´s decision contained guidance on how the Nobel Foundation should improve its compliance with the will, by 1) analyzing the purpose described in the will, 2) instructing the awarding committees, 3) introducing procedures to ensure compliance with the purpose. The Authority also noted that the superior Nobel Foundation Board (Stockholm) had understood that it could not pay a prize over to the winner if the subsidiary Nobel Committee (Oslo) should select a winner outside the purpose. New complaint , 2014, co-signed by 16 prominent Scandinavians, and supplemented with May 26, 2014 (in Swedish), letter from Swedish Attorney Kenneth Lewis. September 20, 2014, noted the Nobel Foundation´s lack of loyal follow-up. The Nobel Foundation in practice had shown no intention to implement and take action as promised against prizes outside the scope of the purpose, therefore time was over for advice and polite requests. Now it was necessary with concrete orders from the Authority to prevent continued violations. [2013) The Nobel Foundation (Stockholm) applied to the Chamber College (Kammarkollegiet) to be exempt from its chief task, which is to control that Nobel´s purpose with the prizes is being fulfilled. The Foundations Authority (LS) issued a statement June 14, 2013 (in Swedish), strongly advising against exemption. Protest by Fredrik S. Heffermehl June 24, 2013 (in English). The International Peace Bureau protested September 20, 2013 (in Swedish). The Kammarkollegiet decided, March 31, 2014 (in Swedish), to refuse the Nobel Foundation application. The Nobel Foundation first appealed the decision to the Swedish government, but then, after two months, withdrew the appeal, thereby accepting its superior authority and final say in the selection of peace prize laureates. 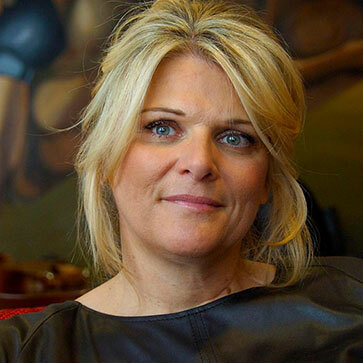 April 2014: Request for criminal investigation and prosecution by Fredrik S. Heffermehl, with 16 co-signers, on April 8, 2014) in (Norwegian / English) lodged with ØKOKRIM (Norway´s National prosecutor for economic crime) which decided that the matter was peripheral to their special field of authority and priorities. On July 28, 2014, submitted to the Oslo Police. Their dismissal has been appealed to the National Prosecutor (Riksadvokaten). We could no longer allow selection process to remain secret. 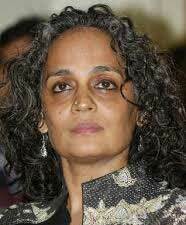 "Arundhati Roy is an Indian author and activist, and one of the most inspiring and powerful critics in our time of modern military power, nuclear weapons and neo-imperialism. Roy's life and work have a clear international dimension, fighting against global injustice with the destructive tug of war over power and influence at its center. Her strong warning against nuclear weapons in the text "The End of Imagination" indicates just how self-destructive and irrational man has become in the chase for control and power. She writes: "The nuclear bomb is the most anti-democratic, anti-national, anti-human, evil thing that man has ever made." In "War is Peace", she writes about the contradictory idea that peace can be achieved through military means; War is not peace - peace is peace. …. " The three… stood up to defend democracy, peace, and justice against the threats that the military always entails, even in cases where the intention may be good. This is a very important focus in our time, where the future will be characterized by major global challenges requiring a massive common preference of peaceful means. [A Nobel] to Snowden, Bolkovac and Roy will be a prize in accordance with Alfred Nobel's will, prescribing that the prize shall be awarded to champions of peace who promote global cooperation (the fraternity of nations) on a world order that seeks peace by peaceful means. Snowden, Bolkovac and Roy come from different backgrounds and the peace work they engage in takes different forms. Together they show the need for a far more demilitarized world order building on morality, solidarity, courage and justice." 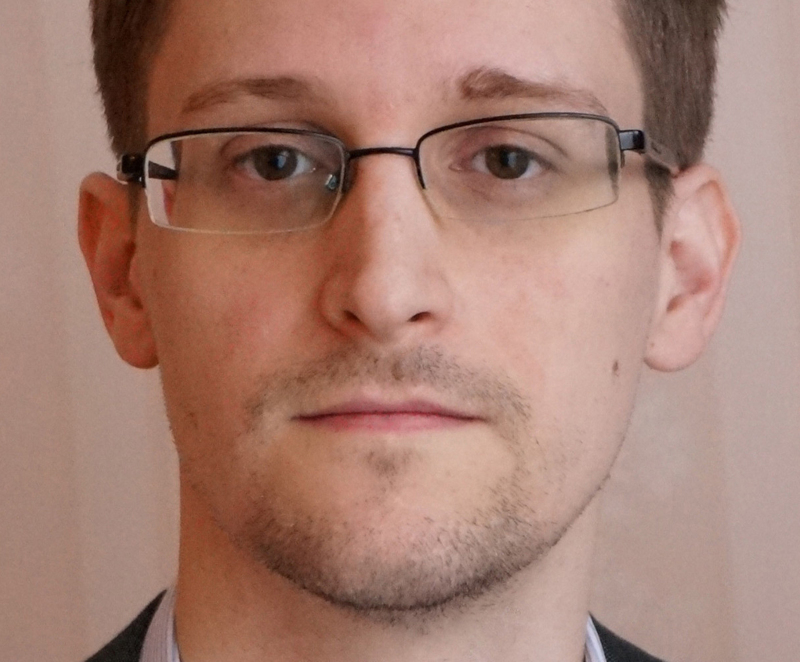 Bolkovac was nominated by Prof. Syse for 2015, see here, Snowden by Prof. Einarsen, see here. Arundathi Roy is a new (first time(?)) nomination. "Their work for peace and reconciliation started when Sarajevo was still under siege in 1995. The Olympic Connection between Sarajevo (1984) and Lillehammer (1994) opened doors and made it possible for the Nansen Academy in Lillehammer to enter the war zone in Bosnia and Herzegovina. Over the last 20 years (see the publication 20 Years in the Eyes of the Storm) the Nansen Dialogue Network has worked steadily, persistently to build up trust and confidence in local communities in the most war torn communities in Europe after WW II, … rebuilding of trust, tolerance and integration. "But it is clear that these ideas and desires are even more important on the international arena. Steinar Bryn and Nansen Dialogue have created a model that shows that reconciliation, settlement and peace-building is possible, even within where large and fresh post-war wounds still exist. This is vital experiences and ideas of the greatest value for the effort of global peace-building which Nobel had as the aim of the prize; it is new knowledge deserving recognition and the attention that a Nobel Prize will give." See the full nomination here. "On April 24, 2014, the Republic of the Marshall Islands, RMI, filed landmark lawsuits against the nine nuclear-armed nations for failing to comply with their obligations under international law to pursue negotiations for the worldwide elimination of nuclear weapons. 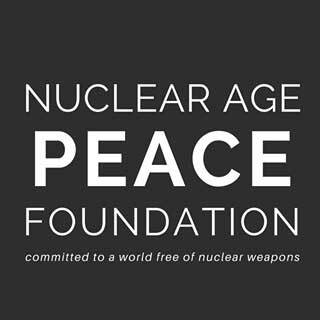 As the Nuclear Age Peace Foundation [another 2016 nominee] underlines: "The Republic of the Marshall Islands acts for the seven billion of us who live on this planet to end the nuclear weapons threat hanging over all humanity. Everyone has a stake in this." The RMI has made a courageous step in challenging nine of the world's most powerful states at the International Court of Justice [and in] a parallel court case against the USA at the Federal District Court1. 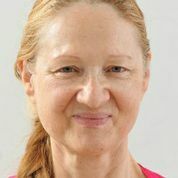 RMI argues that the nuclear weapons‐possessing countries have breached their obligations under Article VI of the Treaty on the Non‐Proliferation of Nuclear Weapons (NPT) and customary international law by continuing to modernize their arsenals and by failing to pursue negotiations in good faith on nuclear disarmament. RMI's former Foreign Minister Tony de Brum has played the key political role in gaining support and approval for this initiative." «…. Ellsberg is an inspiring example of how authoritative and responsible citizen can influence world-historical events. He was willing to pay a high price to share this information publicly – and he contributed significantly to the ending of one of most dismal chapters of the 20th century war history. The fact that Ellsberg is a citizen of one of the world’s most powerful nations adds a particular dimension to his contribution to peace. 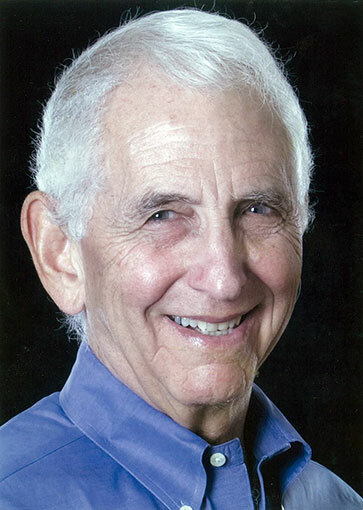 In addition to this we have Ellsberg’s lifelong and extraordinarily meritorious work for peace and disarmament, where he represents a comprehensive movement that over the years has contributed to peace and détente. He has carried this work forward with undiminished strength during 2015. Ellsberg’s example and attitudes have proved to be of great current significance, and he has won a well deserved reputation as the “grand old man” of whistleblowing. " See the nomination here (in Norwegian) and here (in English translation). Daniel Ellsberg received the Peace Prize of Dresden February 2016, video (Ellsberg from 1:05 to 1:44). "I noticed with considerable satisfaction the emphasis the Nobel Committee chair, Kaci Kullmann Five, placed on Alfred Nobel and his will in her opening words in the Nobel speech on Dec. 10, 2015. The reference to dialogue, negotiations, and disarmament as central aspects of Nobel's peace vision was in fine harmony with Nobel´s specific recipe for preventing wars by global co-operation on disarmament. 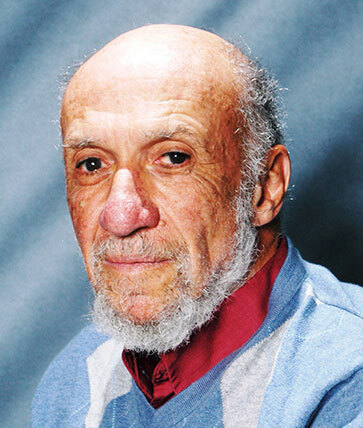 Professor Richard A. Falk, USA, is a world renown scholar who has invested unique skills and energy in a life-long commitment to Nobel's stated goals through consistent work with world order models as well as global governance based on the rule of law and a strong democratic civil society. His immense production - based on both academic and on-the-ground work - directly points to the many opportunities for creating a world in which there are no nuclear weapons and most conflicts are solved in adherence with the UN Charter's highest norm (Article 1) that peace shall be created by peaceful means - a term which by definition implies nuclear abolition, de-militarisation and the achievement of the world community's decade old commitment to general and complete disarmament. «[The two persons I nominate] were instrumental behind the scenes in the development of the International Criminal Court (ICC). The Rome Conference of 1998 produced the Rome Statute for the ICC (the Hague) …. the revolutionary permanent tribunal which can prosecute individuals for genocide, war crimes, and crimes against humanity. Prosecuting the individuals who are responsible for such crimes is a main way of eliminating war from society. 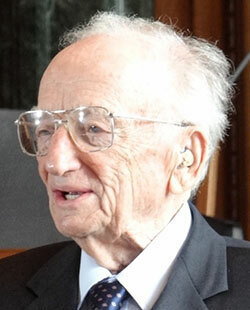 «Ben Ferenz ... served as Prosecutor for the United States in the Nuremberg war crimes trials after World War II. He later became Adjunct Professor at Pace Law School in White Plains, New York, USA. 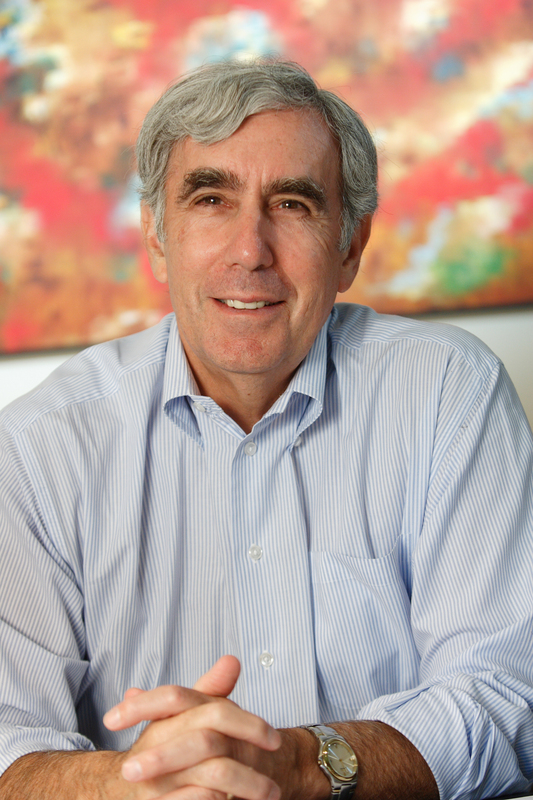 Books he has authored include Defining International Aggression: The Search for World Peace (Oceana, 1975), Less Then Slaves: Jewish Forced Labor and the Quest for Compensation (Harvard, 1979), An International Criminal Court: A Step Toward World Peace (Oceana, 1980), Enforcing International Law: A Way to World Peace (Oceana, 1983), A Common Sense Guide to World Peace (Oceana, 1985), Planethood (with Ken Keyes, Jr., Vision, 1988, 1991), World Security for the 21st Century (ed., Oceana, 1991), and Global Survival: Security through the Security Council (Oceana, 1994). There are also German-language versions of some of these books. Mr. Ferencz worked behind the scenes with several organizations such as the Coalition for the International Criminal Court in order to convene [and] actively participated in the Rome Conference itself and ...has also given many lectures and participated in many conferences about the ICC." «Bill Pace ... the Executive Director of the World Federalist Movement-Institute for Global Policy (WFM-IGP) and Convenor of the Coalition for the International Criminal Court (CICC). He was a member of the Organizing Committee which convened the Hague Appeal for Peace Conference, the largest international peace conference in history on May 11-15, 1999, in The Hague, Netherlands. Nearly 10,000 people from over 100 countries responded to an appeal launched by the International Peace Bureau (IPB), the International Physicians for the Prevention of Nuclear War (IPPNW), the International Association of Lawyers Against Nuclear Arms (IALANA), and the World Federalist Movement (WFM). Then he led the formation of the Coalition for the International Criminal Court (CICC) which played a major behind-the-scenes role in bringing about the Rome Conference and the adoption of the Rome Treaty. His international coalition led the effort to get national ratifications from 60 countries so that the treaty went into effect in July, 2002, much more rapidly than anticipated. Now 123 countries have ratified the Rome Statute, many because of the efforts of the CICC under his leadership. 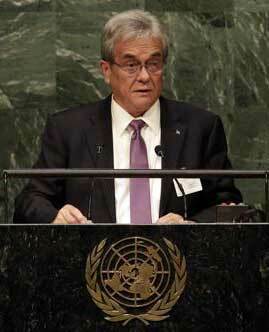 Mr. Pace also has given many lectures and participated in many conferences about the ICC. "Ferencz has passionately worked to make this framework become a reality. 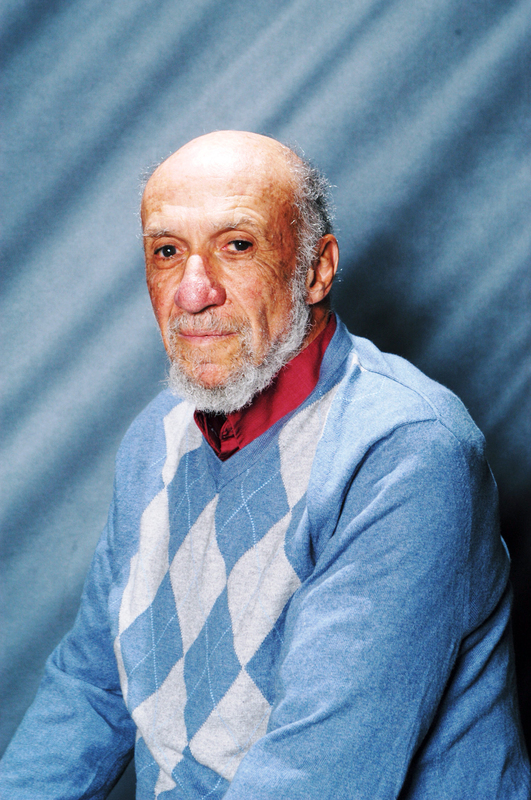 At 95, he reminds us of the work that we have yet to accomplish – such as criminalizing aggressive war - and he appeals to young people to continue this intergenerational project. For these efforts Ferencz deserves to be recognized by the world’s population and to be seen as a most ardent worker in the full awakening of the human conscience." 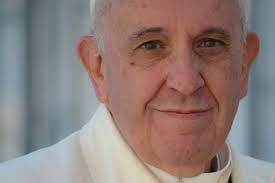 On March 26 the NPPW has added Pope Francis. He was omitted in our original list, for two reasons: 1) We had not succeeded to get hold of the nomination letter, and 2) descriptions in the media, in particular The National Catholic Reporter, clearly indicated that the nomination had little to do with the purpose of the prize – to liberate all nations from weapons, warriors and wars and to let co-operation on security replace threats and military power games. In our letter of Feb. 2, 2016, to the Nobel Committee we commended the committee for exemplary wording on disarmament in the opening of the chair´s speech at the 2015 peace prize ceremony. Considering the committee´s huge step in the direction of respecting the will, we wish to avoid that Pope Francis will be excluded by a defective nomination. Therefore NPPW has, in a letter of draw the committee´s attention to several public appearances during the “last expired year” (2015) where Pope Francis made proclamations very supportive and relevant to the demilitarized peace order that Nobel wished his prize to promote. In the annex you will find a selection of quotes that would seem to make it easy for the committee to give a citation loyal to Nobel if it were to select Pope Francis for the 2016 prize. Please see the attached letter with quotes qualifying Pope Francis and forming the basis of a citation loyal to Nobel´s will. "For decades Johan Galtung has been an inspirational presence in the field of peace studies broadly conceived. His exceptional vitality and mobility has brought this message of understanding and insight into peace with justice to the four corners of the planet in a remarkable fashion that is truly unique in its educational and activist impact. It is no exaggeration to write that he invented and established the field of peace studies as a respected subject of study in institutions of higher learning throughout the world. As a consequence of his charismatic speaking ability and seminal writing Johan Galtung has reached the hearts and minds of thousands of people throughout the world, conveying the belief above all that peace is possible through the dedicated efforts of ordinary people if they are work to change the political climate sufficiently to educate and excert pressure on the political leaders of the world as well as on global media. With all due respect, the time is long overdue to honor those who through thought and deed have brought Alfred Nobel’s vision to life for students and activists of all civilizational backgrounds. It is only by creating this global peace consciousness at the grassroots level that we can have any realistic hope of overcoming the entrenched militarism that remains so dominant in governmental bureaucracies throughout the world. Giving Johan Galtung the kind of platform that the Nobel Prize affords would itself be an enormous contribution to the realization of a peaceful world, and the fact the he is a Norwegian son would have a special resonance in the country and beyond." Read the full nomination here. Professor Galtung's unique imprint on the study of conflict and peace stems from the combination of systematic scientific inquiry and the Gandhian ethics of peaceful means and harmony. This has enabled him to communicate and implement shared change within the most different cultural and religious contexts: a lesson which is the key also for the solution of our common XXI century global challenges. A truly extraordinarily creative, productive and global life at the service of peace would deserve the recognition of the Nobel Peace Prize"
"Since its foundation in 2004, ‘Kyujo-no-Kai’ has been appealing to the world spirit of the Article 9 of Constitution of Japan which advocates absolute abandonment of the war, emphasizing significance of peace for existence of humanity in the future." See the whole nomination here. "ICAN ... a global campaign coalition working to mobilize people in all countries to inspire, persuade and pressure their governments to initiate and support negotiations for a treaty to ban and eliminate nuclear weapons. ICAN currently has 424 diverse partner organizations in 95 countries. They include peace, anti-nuclear, environment, development, faith-based, human rights, workers’, women’s, young people’s, social justice and professional organizations. The principal basis for ICAN’s advocacy for prohibition and elimination of nuclear weapons is their inevitably indiscriminate, inhumane and unacceptable effects, which represent the greatest immedi- ate threat to humankind. .... and has now evolved into an independent international campaign for a nuclear weapons ban treaty. Prominent supporters of ICAN include UN Secretary-General Ban Ki-moon, Archbishop Desmond Tutu, Jody Williams, the Dalai Lama, musician Herbie Hancock, artist Yoko Ono and actor Martin Sheen. We are in a time of profound danger. The threat of nuclear weapons has grown in an increas- ingly conflict-ridden, cyber-vulnerable, and climate-stressed world. Although the Cold War ended more than two decades ago, there are still nine nuclear-armed States that possess more than 15,000 nuclear weapons. The nuclear powers have undertaken massive modernization programs to develop smaller, more “usable” nuclear weapons and to ensure the continuation of nuclear era for decades to come. The use of a single nuclear weapon can destroy an entire city and kill most of its people ..."
NOTE from Nobel Peace Prize Watch to Nobel Committee: The nominator is a participant in the ICAN, but they are two distinct, different and independent organizations If it should still be considered self-nomination, ICAN should be nominated by the committee for serious evaluation in 2016. 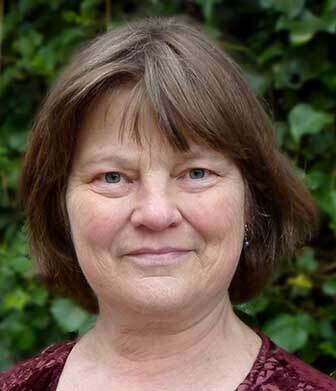 "Although she became a well-respected writer and teacher on disarmament and arms control, Rebecca never abandoned her roots in nonviolent activism for peace, human rights and justice, working particularly to empower women and support women. Disappointed after her strategies with the New Agenda Coalition to obtain consensus agreement among NPT states for the Thirteen Steps to Nuclear disarmament in 2000 came to naught, Rebecca moved to Scotland in 2006-8, as co-organizer of Faslane 365, a grassroots initiative to mobilise groups of people from all walks of life and all parts of the world to demonstrate their opposition to Trident renewal with nonviolent peace actions at the Faslane nuclear base. 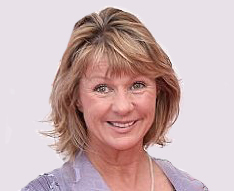 To promote disarmament, she organized and spoke at hundreds of further meetings and actions around Britain and internationally and published analyses and books, including ‘Worse than Irrelevant’ and ‘Trident and International Law’ advocating nuclear disarmament rather than Trident replacement and ‘Decline or Transform’ on the need to strengthen the NPT with additional disarmament measures. From 2009, Rebecca took the lead in civil society efforts to reframe nuclear disarmament as a humanitarian imperative, serving for some years as the Co-Chair of the International Campaign to Abolish Nuclear Weapons (ICAN) and giving civil society’s closing statement at the ground-breaking Oslo Conference on the Humanitarian Impacts of Nuclear Weapons in March 2013. 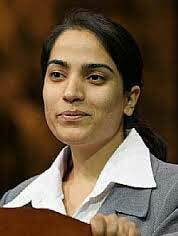 "Malalai Joya stands out with remarkable intelligence, integrity and courage as a woman in Afghanistan who has spoken against the dominating role of warlords in Afghan politics – with whom US/NATO/ISAF collaborated from day one October 2001. She has thus underlined the evident hypocrisy of Western ‘saving and liberating Afghan women’ and has been an outspoken person against Western ambitions to interfere and dominate Third World countries. "Under Dr. Krieger’s guidance, NAPF’s Peace Leadership Program has grown into a recognized international program for peace. Directed by Paul K. Chappell, a West Point graduate, and Iraq war veteran, peace leaders are given the tools and training needed to ... achieve peace. During 2015, this program inspired more than 5000 people. Critical to the cause of nuclear abolition is the education and involvement of the next generation. NAPF’s vital Internship Program exposes young people to the fields of peace and security, non-profit management, and careers with conscience. Interns gain hands-on experience working with a non-profit educational and advocacy organization. ... Countless interns learn from their time at NAPF that their path in life will involve making the world a more peaceful place. Dr. Krieger ... has also championed peace and nuclear disarmament in many other organizations. 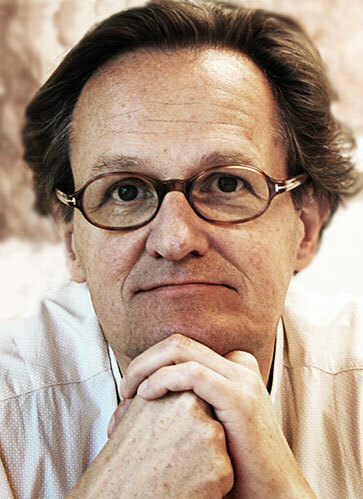 He is a co-founder of Abolition 2000 ... of the International Network of Engineers and Scientists for Global Responsibility (INES) and has served as the Chair of its Executive Committee. 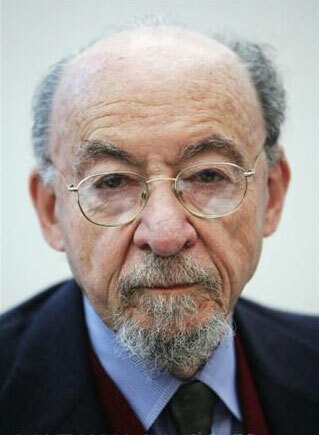 He is a founder of the Middle Powers Initiative and has served as the Chair of its Executive Committee. 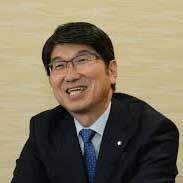 He is a Councilor on the World Future Council and serves as Co-Chair of its Peace and Disarmament Commission. Dr. Krieger has authored and edited more than twenty books and hundreds of articles on peace, justice and nuclear weapon abolition." "Federico Mayor …. continues ... to work for a transition from a culture of imposition and war to a culture of dialogue and peace. Through his writings, talks, and huge network of distinguished people, he is able to inspire and guide thinkers and political decision-makers alike. … At the IPB annual conference in Padova: Paths to Peace in November 2015 Federico Mayor strongly underlined that the world urgently need to disarm to free resources for development and for meeting the challenges of climate change and of migration. … UNESCO established a culture of peace program, with a large number of partners, and encouraged the UN to make the year 2000 the International Year for a Culture of Peace to be followed by the Decade for a Culture of Peace and Non-violence for the Children of the World (2001-2010). A Recommendation and a Plan of Action were developed to guide and inspire the work both at a governmental and civil society level. UNESCO developed with some Nobel Peace Prize Laureates a Manifesto for a Culture of Peace that was signed by more than 70 million people and presented to the Secretary General of the UN." "Since its foundation in 1982, the international NGO Mayors for Peace has rapidly established itself as probably the most dynamic and important organisation in the global campaign for the abolition of nuclear weapons. It cannot be a cause for surprise that this organisation, which aims to raise global public awareness of the need to abolish nuclear weapons, was initiated by the Mayor of Hiroshima. 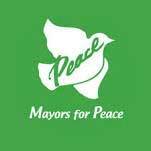 The current membership of Mayors for Peace approaches 7,000 cities in 160 countries. Some 1,600 cities in Japan are members, representing 92% of all municipalities in the country, a strong indication of the overwhelming desire of the Japanese people to see a world free of nuclear weapons. The country with the second largest number of members is Iran (800). The common denominator explaining the popularity of the organisation in both countries is that they have been victims of the use of weapons of mass destruction, resulting in a widespread determination among their citizens to work for their elimination worldwide. Just as the Hibakusha of Hiroshima and Nagasaki are playing a vital role in the success of the organisation in Japan, so do the survivors in Iran of the chemical attacks that were launched by Iraq during the long and atrocious war in the 1980s. "…. in your deliberations, priority should be given to individuals and movements involved in peace issues with an obvious global significance which, moreover, are urgently demanding a solution. Furthermore the successful nominee should meet the criteria specified by Alfred Nobel in his will. … but the reduction and abolition of nuclear armaments is a feasible and, indeed, urgent task of the world community. international affairs. As part of its ever-growing outreach, it also launched the online magazine «Transnational Affairs" http://bit.ly/TransnationalAffairs . "PNND members have built parliamentary support from all states in the Middle East (including Israel) for the proposal for a Middle East Zone Free from Nuclear Weapons and other Weapons of Mass Destruction. …. runs the Framework Forum, which brings governments together in track two diplomatic roundtables to discuss how to make progress on multilateral nuclear disarmament. … PNND has strong partnerships or cooperation with virtually all the international organisations working for nuclear disarmament, and has played a key role in building cooperation between them. In 2012, PNND along with the World Future Council, United Nations Office of Disarmament Affairs and the Inter Parliamentary Union organized a Future Policy Award focusing on best operating policies for disarmament. The Award ceremony, at the United Nations, highlighted policies on nuclear disarmament and on gun control – and encouraged governments, parliaments and civil society to spread these policies. In 2013, PNND working with Global Zero, moved nearly 2/3rds of the members of the European Parliament to endorse (personally sign) a Written Declaration in Support of the Global Zero Plan for Nuclear Disarmament – making this European Parliament policy." Tthe nomination letter names outstanding achievements by individual PNND members, Federica Mogherini, Ed Markey, Jeremy Corbyn, Uta Zapf, Mani Shankar Aiyar, Atimova, Tony de Brum [nominated in person by IPB for 2016], Ui Hwa Chung, Taro Okada, Sabe Chowdury, Bill Kidd, Christine Muttonen. "A Nobel Peace Prize would highlight the importance of this parliamentary work, recognize the incredible leadership of PNND and assist in building political support for the initiatives in which PNND is active. Therefore, *the Jordanian Senate House strongly nominates PNND for the Nobel Peace Prize." "I would like to nominate the organization September 11th Families for Peaceful Tomorrows, which since 2002 has done a tremendously hopeful work in bringing together victims of non-state terrorism and state terrorism across enemy lines and during ongoing wars, in the US, Afghanistan and Iraq. Instrumental individuals in the creation of the organization has been Kathy Kelly of Voices in the Wilderness (now Voices for Creative Nonviolence), who herself repeatedly has brought medicine into Iraqi people despite the sanctions during the 1990s, and Medea Benjamin of the feminist peace organization Code Pink. …. September 11th Families for Peaceful Tomorrows has been nominated both 2003 and 2004 but now, in the period of the failed War on Terror it should be obvious to people how the reconciliation work of this organization is the way forward, not the kind of escalations, warmaking and illegal drone attacks that the US, France, UK and others have emphasized. Their website: http://peacefultomorrows.org"
NOTE, NPPW to the Nobel Committee: The nomination mentions the organization, but also clearly points to two central persons. Since Alfred Nobel primarily saw his prizes as meant for individuals, it would be right (in the committee´s first meeting) to consider this as a nomination of all three. "In 2015, World Beyond War grew dramatically under Swanson's direction to include people in 129 nations. World Beyond War produced a book authored by Swanson titled A Global Security System: An Alternative to War that has had an impact on discussions of U.S. foreign policy. Swanson has been a consistent and determined advocate for change in U.S. 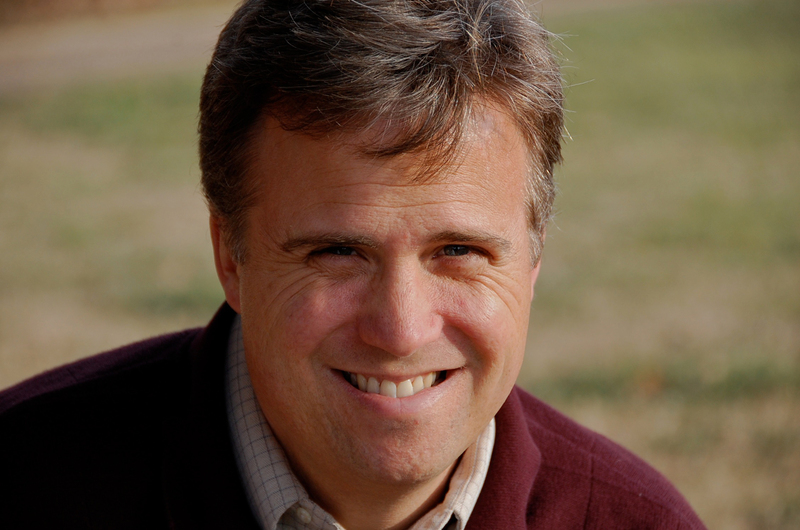 In 2015, Swanson published numerous articles and gave many speeches advocating peace and the abolition of war. 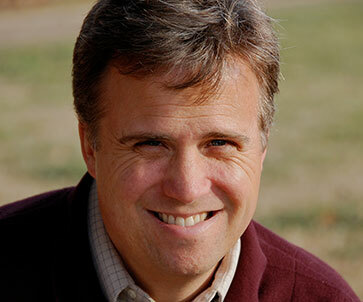 His articles are collected at DavidSwanson.org. He was an advocate of the nuclear agreement with Iran. 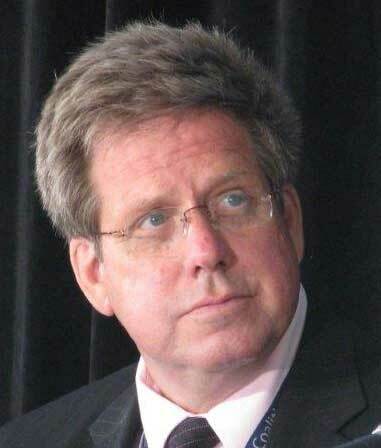 Swanson visited Cuba in 2015, met with the staff of the not-yet U.S. embassy, and advocated for better and more just relations, including an end to the embargo and the return to Cuba of its land in Guantanamo. Also in 2015, Swanson has been active in the community of activists who oppose the entire institution of war, as well as in the general public through writing and speaking for reducing militarism and rethinking the idea that war is inevitable. It is also important to note Swanson's role with RootsAction.org. 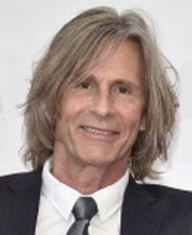 In 2015, Swanson worked as campaign coordinator for the online activist site. Through a combination of online and "real world" activism, RootsAction.org has successfully brought pressure to achieve numerous steps toward peace, while building an online activist membership of 650,000 people for future action. In December 2015, a RootsAction.org and World Beyond War petition urged the Congressional Research Service to resume reporting on international weapons sales after a three year hiatus. Within weeks, the CRS released a new report. … In January 2015, after a RootsAction.org petition pushed the United States to negotiate with North Korea rather than rejecting its offer to halt nuclear tests, the U.S. did begin negotiating -- with outcome yet to be determined. " «I resubmit the nomination for 2015, ... In addition I would like to mention that in 2015, ”the last expired year,” IALANA, Peter Weiss, and the German section have continued to clarify the illegality of nuclear weapons law cooperating with and backing the case Marshall Islands is conducting at the UN Court, ICJ, on the obligations of nuclear-armed nations to engage in efficient procedures to abolish nuclear weapons. IALANA makes valiant efforts to develop international law through a treaty banning nuclear weapons adopted in international diplomacy. The German IALANA branch is particularly active in a “Peace trough Law” project seeking to strengthen international law and make it a well known and operative feature of national and international relations. This work is at the core of Nobel´s idea of a “prize for the champions of peace.” The resort to court instead of arms was a key component of the peace thinking of Bertha von Suttner (arbitration and Schiedsgerichte) and the work of the “champions of peace” that Alfred Nobel wished to support by his prize. … To develop a world governed by law, not power, was a central concern of Nobel using the term «brotherhood of nations» in his will and is central to the activities of the IALANA community. 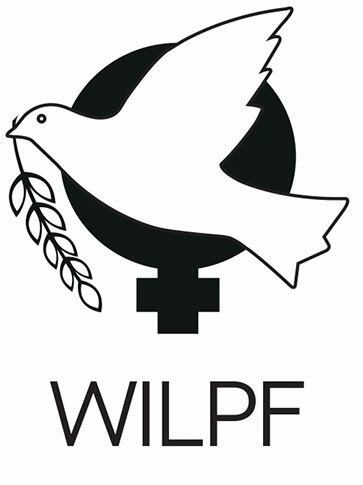 "I endorse all Christine Milne´s remarks in the attached 2015 nomination and draw your attention to the work of WILPF during the past year, the centenary year of the organization … one hundred years of public advocacy and action by women around the world to promote sustainable peace and disarmament culminating in the hugely successful 2015 Women’s Power to Stop War centenary conference in the Hague, is surely deserving of recognition with this year’s Peace Prize. Over the past year women have worked to connect, strengthen and celebrate the work of women peace makers wherever in the world they live. It built on the UN Security Council Resolution 1325 passed in 2000 which recognized the role of women in peace making and the prevention of conflict and the work of WILPF over the last 15 years on the Women, Peace and Security agenda. A peace negotiation anywhere, which fails to give women a voice and which fails to acknowledge the crimes against women will not be sustainable. Please advance women’s rightful place at the peace making table by recognizing the Women’s International League for Peace and Freedom as 2016 Nobel Peace Prize winner." NPPW list is based on studies of what counts under the law, what Nobel actually wanted. saying: “If you wish peace, prepare for war” and how to make countries agree on this. conflicts. It is not a prize for good deeds, but for a basic reform of international relations. the Nobel prize activities should point beyond resolution of local situations. respond to political processes as they are supposed to in a democracy. Alfred Nobel would have liked to see his committee think along the same lines. All the nominations below, for 2017, were repeated and resubmitted for 2018 (but not all by the same nominators). 4) complying with a proper legal study of the intention (will) of Alfred Nobel. The Nobel Peace Prize Watch list contains only nominations we have seen and been permitted to publish. This is the only published screening of all known candidates who serve a broad reading of the actual will of Alfred Nobel. *) These nominations should be «rescued» by the committee members using their right to nominate them in the first meeting of the committee after the Jan. 31 deadline. The rule makes it easy for committee members to prevent that good nominations fail because the new, one day shorter, deadline, is not well known. "Medea is the co-founder of the women-led peace group CODEPINK and the co-founder of the human rights group Global Exchange. While her anti-war work dates back to her high school years during the Vietnam War in the l960s and continued in Africa and Central America in the l970s and l980s her most important recent work has been in response to the 2001 9/11 attacks in the United States. … (she) took 9/11 family members to Afghanistan to meet with the innocent victims of US bombing, then brought the 9/11 families to Washington over and over again to lobby for a compensation fund for the Afghan victims, something they achieved in 2005. To stop the invasion of Iraq, cofounded, the women’s peace group CODEPINK … also a founder of the broad US-based coalition of l,500 groups called United for Peace and Justice that co-ordinated anti-war activities throughout the United States. 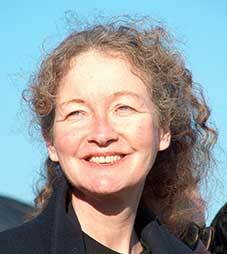 Globally, she was one of the initiators of the 2002 World Social Forum call for a global day of action against the invasion of Iraq on February 15, 2003. …. set up the Occupation Watch Centre to chronicle the activities of US/Coalition forces in Iraq. This Centre documented and spoke out against the torture and abuse in the Abu Graib prison long before the international media publicized abuses. … When US warfare in the Middle East turned from deployment of soldiers to the use of killer drones, Medea was on the forefront of the anti-drone movement. She wrote the book ‘Drone Warfare: Killing by Remote Control’ in 2013 and travelled to 200 US cities educating and mobilizing the public. … Her direct questioning of President Obama about drone victims during his 2013 foreign policy address was publicized throughout the world. It helped shine a light on the innocent people killed by US drone strikes and contribute to imposing greater government controls over their use. Medea’s most recent work has focused on the negative impact of the Western nations’ alliance with the regime in Saudi Arabia, particularly the enormous weapons sales to that nation. Her recent book Kingdom of the Unjust: Behind the U.S. Saudi connection, has helped galvanize a new movement opposing US weapons sales to the regime, especially in the light of the devastating Saudi bombing campaign in Yemen." Bolkovac was nominated by Prof. Syse for 2015, see here, Snowden by Prof. Einarsen, see here. 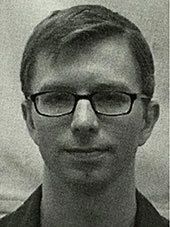 "Chelsea Manning ... The leaked documents pointed to a long history of corruption, serious war crimes, and a lack of respect for the sovereignty of other democratic nations by the United States government in international dealings. …. The revelations she helped disclose have fueled democratic uprisings around the world, including a democratic revolution in Tunisia. According to journalistic, academic, and intellectual scrutiny her actions helped motivate the democratic Arab Spring movements, shed light on secret corporate influence on foreign and domestic policies of European nations, and, also contributed to the Obama Administration’s agreement to withdraw all U.S. troops from occupied Iraq. ….The profound information that was revealed by this courageous whistleblower helped to foster public dialogue on the legitimacy, suitability, and relevancy of the military interventions carried out by US troops both in Iraq and Afghanistan. [and] led directly to calls demanding the full withdrawal of the military forces from these countries, as well as investigating committees on the treatment of detainees in the Guantanamo Bay detention camp." Note from NPPW to the Nobel Committee: The nomination was sent to the Committee the day after the new time limit (Monday 31. Jan at 12 p.m.), but within time under the time limit that has applied earlier. As argued by the Pirate Party It would be unreasonable to give the new, shorter, time limit immediate effect. NPPW will treat this a valid nomination. The committee members may use their right to confirm the Manning nomination in their first meeting in 2017. Snowden is nominated in time for 2017 in several other nominations. "Edward Snowden (born June 21, 1983) …. disclosed top secret NSA documents to several media outlets, initiating the NSA leaks, which reveal operational details of a global surveillance apparatus run by the NSA and other members of the Five Eyes alliance, along with numerous corporate and international partners. … He has, with great risk to his personal well-being and future, revealed the horrific scope of the global espionage network of the Anglo-American spy agencies. By releasing documents regarding the activities of clandestine agencies he has not only unveiled the global scale of mass surveillance which endanger a wide array of civil liberties (cornerstones of our liberties such as free speech and the right to privacy), he has also given the people of the world the necessary tools to counter the ever invasive path towards mass surveillance. Blatant violations to fundamental human rights have been institutionalized by US government agencies while privacy is a basic element of all the major international human rights charters and declarations. … The debate on mass surveillance cannot take place without the disclosure of the basic structures and methods of the corresponding secret spy programs. "Combatants for Peace is a true sign of the ability of people to find common ground and stand up for humanity in the midst of hatred, oppression and violence. These men and women have shown the amazing courage to go against the armed discourse within their respective community and collaborate with the “enemy”, replacing the guns and bombs with nonviolent means of struggle, and stand united together in their cry for peace and justice. Together they make marches, nonviolent activism, educations for peace and they commemorate the victims on all sides. Every time they speak and represent the organization they are two persons: one Palestinian and one Israeli. Every position in the organization is having two persons: one Palestinian and one Israeli. They are a true sign of humanity and hope in a time and in a situation of violence and despair. In line with the explicit criteria in the Alfred Nobel will Combatants for Peace have through their organization and work reduced standing armies and created peace conferences that reduces the likelihood of war." Note from NPPW to the Nobel Committee: The proposal is dated Feb. 2 and thus, under the rules, is a valid nomination for 2018. The nomination addresses a local/regional problem, not in itself the global co-operation on disarmament reflected in the language on peace congresses and "creating the brotherhood of nations" that Nobel had in mind writing his will. However, the nomination presents the Combatants for Peace as a role model, their method to improve the relation between two nations showing the way for the world as a whole. Nobel committee members should consider using their right to table this nomination in the committee´s first meeting for 2017. "Has won recognition as the «grand old man» among whistleblowers"
« …. I 2016 er Ellsberg også blitt tildelt byen Dresdens fredspris. Seremonien ble filmet i sin helhet og er lagt ut på nett her. Ellsbergs tale ved seremonien starter etter en time (løper fra 1:05 til 1:44) demonstrerer hvordan han belyser de store spørsmål om menneskenes sikkerhet og fremtid – og vårt individuelle ansvar for å hindre misbruk av militær og politisk makt. Hans tema, å forebygge og hindre militær maktbruk, er selve kjerneideen i «prisen for fredsforkjempere» som Nobel beskrev i sitt testament. The nominees, a married couple, have initiated and devoted their lives to a project mainly aimed at engaging young people in peace and non-violence. Their work has received 16 nominations fot Nobel´s peace prize; the PeaceJam Foundation has been nominated 9 times for the holding of Peace Congresses worldwide, as well; and the One Billion Acts of Peace Campaign has been nominated 8 times. The key principle that underlies all of their work is our strong belief that humanity can create non-militaristic, non-killing societies, ending the proliferation of weapons and ending war. In 2016 they launch a new initiative in Europe to help build peace between groups with ethnic backgrounds, in the wake of the Paris and Brussels bombings and the large influx of new migrants to Europe, many of whom are Muslim. Note to Nobel Committee: This is a broad mobilization of youth for peace and understanding over a long period of time, working with inspiring models of high international status (several Nobel laureates). Peace Jam (rather than the Campaign «One billion Acts for Peace») has a rather broad range of concerns. It would, considering Nobel´s intention, seem to be possible to describe the Peace Jam activity sufficiently clear in its direction against weapons and militarism to make a peace prize legitimate. "Johan Galtung has been the sort of dedicated warrior for peace that it seems to me the Nobel Prize was created to honor and by so doing raise public consciousness of what must happen if we are to overcome the war system and enjoy the material, political, and spiritual benefits of living in a world of peace premised on the nonviolent resolution of disputes among sovereign states and respect for the authority of international law. 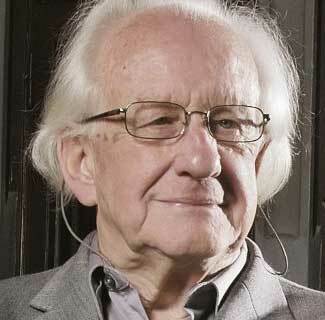 For decades Johan Galtung has been an inspirational presence in the field of peace studies broadly conceived. His exceptional vitality and mobility has brought this message of understanding and insight into peace with justice to the four corners of the planet in a remarkable fashion that is truly unique in its educational and activist impact. It is no exaggeration to write that he invented and established the field of peace studies as a respected subject of study in institutions of higher learning throughout the world. As a consequence of his charismatic speaking ability and seminal writing Johan Galtung has reached the hearts and minds of thousands of people throughout the world, conveying the belief above all that peace is possible through the dedicated efforts of ordinary people if they are work to change the political climate sufficiently to educate the public and exert pressure on the political leaders of the world as well as on global media. With all due respect, the time is long overdue to honor those who through thought and deed have brought Alfred Nobel’s vision to life for students and activists of all civilizational backgrounds. It is only by creating this global peace consciousness at the grassroots level that we can have any realistic hope of overcoming the entrenched militarism and autocratic politics that remains so dominant in governmental bureaucracies throughout the world." "Nuclear weapons are primarily a political weapon, not one currently used in the battlefield. As such, there is no single approach to eliminating the threat. Success in achieving nuclear abolition will require a combination of approaches, some emphasizing the inhumanity and illegality of nuclear weapons, others emphasizing the economic and political costs, and others emphasizing the possibilities to achieve security without relying on nuclear deterrence. …. Global Zero leaders include very influential legislators and former officials from the nuclear armed and allied States. They produce influential reports and hold effective consultations and meetings in the capitals of nuclear- armed states. 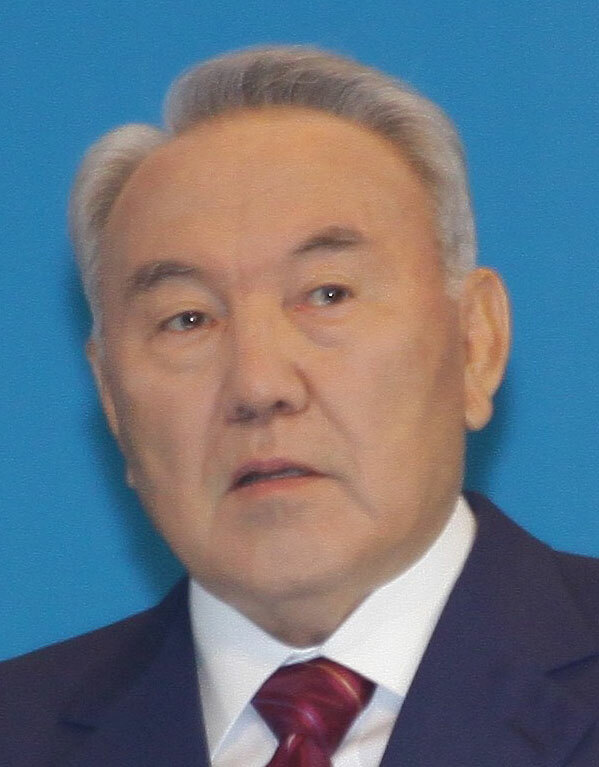 President Nursultan Nazarbayev stands out as a leader who has taken a number of significant nuclear disarmament initiatives during his 22 years as leader of Kazakhstan. ….not only has a commitment to the achievement of a nuclear-weapons-free world, but continues to take a number of initiatives that are influential in the process to achieve such a world. A Nobel Peace Prize would enhance the influence and support these processes globally. « … a hero of the nuclear age who is highlighting the tragic experience of his region in Kazakhstan – devastated by the long-term effects of Soviet nuclear tests. 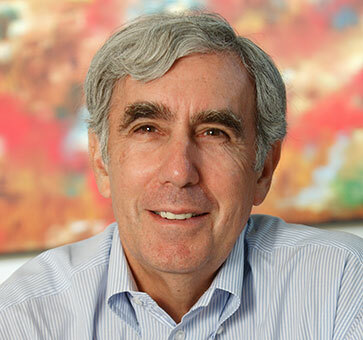 The ATOM Project, which he leads, informs the world of the catastrophic humanitarian and environmental impact of nuclear weapons and the imperative for nuclear abolition. A second generation victim of nuclear tests, Karipbek was born with severe health complications, including being born with no arms. …"
Nazarbayev and Kuyukov also nominated by Bill Kidd, MP Scotland here. "A joint nomination of Nursultan Nazarbayev (President of Kazakhstan) and Karipbek Kuyukov (Honorary Ambassador of the ATOM Project) for their dedicated and effective actions to highlight the catastrophic humanitarian consequences of nuclear weapons, as well as for their leadership in promoting a nuclear-weapons-free world. NOTE to the Nobel Committee: The nomination does not clarify, but seems to indicate, that the two nominees do not see the solution, as Nobel indicated in his will, in the global co-operation on «creating a brotherhood of (disarmed) nations» - but nuclear disarmament is the most immediate and mandatory urgency to secure a future for humankind. "“If nobody had them, nobody would need them”, is a saying that gains ground. It has now come to be a point that is has been expressed by President Xi in a ground-breaking speech to the Davos World Economic Forum, and by Presidents Putin and Trump who have raised the possibility of a Reykjavik Summit that would finally deliver on the promise of the 1986 Reykjavik Summit between Presidents Reagan and Gorbachev. In addition, the United Nations General Assembly has decided to convene negotiations in 2017 on a nuclear ban treaty, and to hold a High Level Conference on Nuclear Disarmament in 2018 to build political traction and global support for nuclear disarmament measures leading to a nuclear-weapon-free world. I believe that the 3 organisations nominated have been instrumental in these positive developments, and their continued work will be vital to the success of the bi-lateral, pluri- and multilateral initiatives mentioned above. " "Awarding Hidankyo the prize would be our way of recognizing their extraordinary contribution to world peace and of thanking them, in the name of all humanity, for their moral example. It would also help reinvigorate the fight for nuclear abolition at a time when the sense of urgency has largely disappeared even though, as the Bulletin of the Atomic Scientists had made clear, the risk of nuclear war is as great as ever. The doomsday clock now stands at two and a half minutes before midnight and the latest scientific evidence confirms our worst fear that the threat posed by nuclear winter is not only real, it is actually greater than experts understood when they released the initial studies in the 1980s. " "An ardent pacifist, she has reported brutality from numerous war zones, e.g., Gaza and Afghanistan, and protested the use of torture and drone warfare. Her peacemaking has led to jail sentences, but she remains steadfast in her engagement. I am particularly pleased that Marquette University has acquired the Voices in the Wilderness archive. Its documentation complements the Dorothy Day papers. In many ways, Kathy Kelly is a worthy successor to Dorothy Day—courageous, dedicated women committed to peace and humanity." 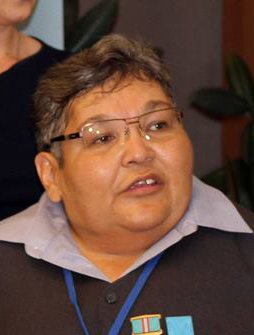 Krieger and NAPF, as consultant to the Marshall Islands, have supported the call lawsuits against the nuclear weapons states in the UN Court at the Hague. The foundation built a consortium of nearly one hundred organizations in the world that agreed to do likewise. «… In a meaningful and substantial way she has helped promote and facilitate the peace through global collaboration that is the essence of the peace work that Nobel intended to support with the prize. 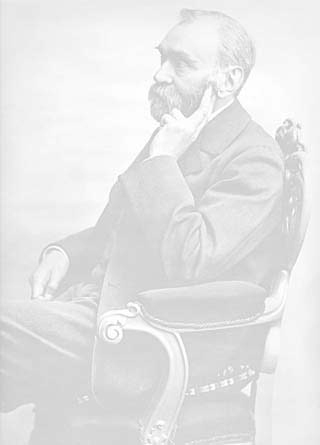 Lindner's groundbreaking research on humiliation and its role in creating and maintaining conflict and as a barrier to international understanding is of utmost importance in a situation where countries need to meet in "peace congresses" to lay the foundation for "fraternity between nations," to highlight two of the most essential terms that Alfred Nobel used in his testament. …." "one of the most imaginative and successful of the many organizations and movements that are in the forefront of the campaign for the global elimination of nuclear weapons: Mayors for Peace. …. , in your deliberations, priority should be given to individuals and movements involved in peace issues with an obvious global significance which, moreover, are urgently demanding a solution. Furthermore, the successful nominee should meet the criteria specified by Alfred Nobel in his will. It is clearly unrealistic to expect in the foreseeable future “the abolition or reduction of standing armies,” but the reduction and abolition of nuclear armaments is a feasible and, indeed, urgent task of the world community. It is also an obligation under Article 6 of the Nuclear Non-Proliferation Treaty. This was reiterated in the unanimous opinion of the International Court of Justice issued on July 8, 1996, which stated that “there exists an obligation to pursue in good faith and bring to a conclusion negotiations leading to nuclear disarmament.”"
Read the full nomination (2016) here. 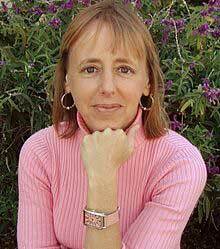 Kathy Kelly and Medea Benjamin have been renominated for 2017. Alfred Nobel intended that the Peace Prize would promote disarmament. Today, militaries around the world place ever greater emphasis on engagement in cyberspace, with its almost unlimited possibilities for spying, disruption, and destruction. No one has sounded the alarm more eloquently than Edward Snowden as regards military encroachment upon the world's systems of electronic communication, and how such encroachment violates rights of privacy and threatens the continued existence of democracy. Edward Snowden became one of history's great whistleblowers when he revealed to leading journalists that the United States conducts all-encompassing mass surveillance around the world. In a conscientious and responsible manner, he exposed a system in which the phone, internet and other communications of individuals and whole nations are intercepted and permanently stored. Snowden insisted that it must be up to an informed global citizenry to decide whether they wish to live in a world in which they are constantly monitored by the United States military. With courage and careful judgment, he initiated a global debate about surveillance systems that operate beyond democratic control and the rule of law. Many states are now trying to build up similar capacities as the US. Snowden´s work has permitted an open and democratic debate, globally, about the risks of cyberwarfare and global surveillance. Snowden's contribution is of particular importance today, when the American military's capacities for interception and disruption in cyberspace are under the authority of a new commander-in-chief. President Donald J. Trump has expressed little intention to respect legal or ethical limits on the use of his power. It is therefore a particularly suitable moment to award the Nobel Prize for Peace to Edward Snowden. See the full 2016 nomination here , the 2015 nomination here. Renominat​ed 2017, by Prof Alf Petter Høgberg, Uni of Oslo here. "An Imperative Condition For The Security And Prosperity Of Humanity"
As armaments increase and threats and use of military force again permeate international politics, the Nobel Peace Prize Watch (see nobelwill.org) calls the attention of the world to Alfred Nobel and the original idea of his peace prize. Nobel wished to honor and encourage “the champions of peace” working for a grand co-operation to liberate all nations from weapons, warriors and wars. Using the term «creating the fraternity of nations» in his will, Nobel referred to a common idea at the time and envisaged nothing less than changing the course of history through a new global system for disarmament, peace and justice. As far as we know, the Norwegian awarders, i.e. Parliament and the Nobel committee, have for over 7 years (as of March 2015) made no attempt to contest or refute the above conclusions as to the purpose of Nobel´s prize. To reverse and undo militarism is an imperative condition for the security and prosperity of humanity. The Nobel Peace Prize Watch has made a list of valid candidates for 2016. I/We point to this list and demand that the Norwegian awarders respect and promote Nobel´s visionary peace idea, and not a less ambitious purpose. Optional – only if you wish updates, will not be shared with anyone. The Nobel Peace Prize Watch welcomes your active participation, or moral, practical and financial support. The forces for militarism and war are very strong and backed by massive propaganda. Tradition talks, money talks, politicians talk, refusing to see that safety by military means is an illusion. The costs are excessive, the risks enormous. All that money only makes our lives extremely unsafe. If we are realistic we see that there is no alternative. Liberating our world from weapons, warriors and war (Nobel Peace Prize Watch slogan) is of imperative urgency. We have to be realistic. Let a new peace order replace our world of military disorder. Let us give Nobel a voice. Most mainstream politicians, media, academics are skeptic to our effort. Please, you can help everyone see that we, the citizens of the world, need a swift, sweeping, total turn-about. Your activities are vital to the effort to help Nobel liberate the world from the dangers of rampant militarism. Keep informed of potential plans, actions and possible progress, check our website, subscribe to newsletter, spread the word by mouth-to-mouth, by the social media, speak in classrooms, meetings and over lunch. Nations should be able to serve their citizens instead of squandering their budgets on a flawed concept of security by military means. A commitment to co-operative security would confer astronomic benefit on the planet, its citizens, all of us. The “peace dividend” will be enormous, with real security in the bargain. Cast your vote for a sane world. Help the Nobel Peace Prize Watch change the Nobel Peace Prize, from the establishment side to serving the Nobel dissidents fighting for the alternative, demilitarized world that Nobel wished to support. Every donation, small or big is welcome. Pay by Card: to our Paypal account. Bank transfer to our Swedish account: SWIFT/BIC: HANDSESS, IBAN: SE0760 000 000 000 864 653 468. (ten zeros in the middle, followed by our account number). Within Sweden you can use bankgiro 593-3395 – all payments goes to Lay Down Your Arms organization.